Abby and Matty have recently finished their second six month placements. I have just finished my placement with the Logistics division at EGGER, during this 6 months I worked in both the Transport and Production Planning departments. · Ensure that invoice were processed and paid for any extra collections and drops. · Plan which hauliers would cover which deliveries, taking into consideration their preferences and to ensure efficiency. Whilst in Production Planning, I enjoyed getting to see more of the factory and understand how each line is planned to ensure that production continues and is done in the most efficient manner. I also gained an understanding on how the team plan correctly to ensure that all the raw materials are ready on time to confirm that production is not affected or held up. I also had the opportunity to visit our Barony Site in Scotland, to get an overview of how their production is scheduled to help ensure that they are able to fully support Hexham’s requirement for raw board, which is then upgraded. I enjoyed my time within Logistics as I was able to learn more about the Production side of the business and understand how much goes into producing our final product. I developed my organisational and communication skills as I was talking to hauliers and members of the Production teams. I have now just started my Finance Placement. I have just completed my placement within Customer Service. · Direct customers – this is where we deal with customers that use our products to make kitchens, bedroom furniture, bathrooms etc. · Distribution – in this section we deal with the large distributors who buy our products in bulk to sell onto smaller companies. · EGGER Retail Products – This section is slightly different as it is separate from the rest of the Customer Services department and only sells the laminate flooring that is produced at our plant over in Brilon, Germany. · Raising deliveries to make sure that my customers received their orders by the date required. I also dealt with a lot of telephone enquiries, regarding what products we had in stock and whether specific orders had been processed and manufactured, queries about prices and whether we offer (or can produce) certain products. I met a lot of new colleagues in Customer Services and also had contact with Production Planning and the Transport department. Working in Customer Services has definitely increased my product knowledge and also helped to improve my ability to prioritise tasks, as I had to ensure customer orders were put promptly on the system to ensure that they would be ready for the customer in time. I also had to ensure that I raised deliveries by a certain time so I had to prioritise which orders I needed to enter for them to be able to go on the delivery. I have now finished the rotation part of my apprenticeship as I have successfully gained the position of Assistant Management Accountant, which is part of the Controlling team within Finance. I will write a blog soon regarding my new role. We hope you have enjoyed this blog and our others throughout 2016. We will have a lot of new blogs for you coming in the new year but in the meantime we hope you have a great Christmas! 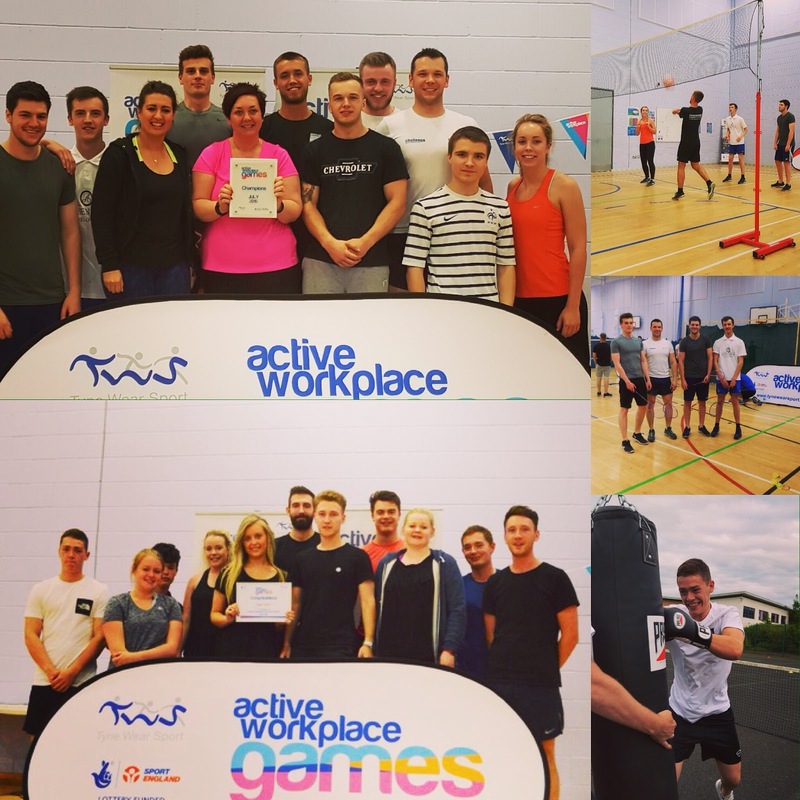 On Thursday 21 July, EGGER entered two teams into the Active Workplace Games. Between the two teams and 23 employees from EGGER, there were 5 of us from our Apprentice Social Media team; Geri, Bailey, George, Ben and Lewis. Each activity brought a different challenge and depending on how you did, points were awarded to the whole team. We all really enjoyed trying out different sports and getting to know other people throughout EGGER, who we would probably not have met otherwise. We also got to spend more time with our new apprentices, who will be joining the social media team over the coming months – so keep an eye out for them! To top off a really fun night, one of our teams won the whole event! We hope you have enjoyed this blog, our next one will be all about our new additions to the team! 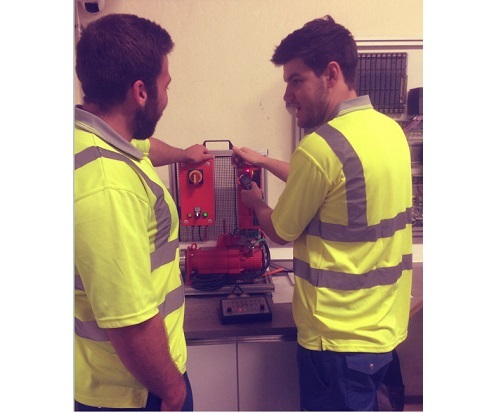 During the 4th year of our Mechanical Apprenticeship you are required to perform the role of a Mechanical Shift Fitter for six months, working 12 hour day and night shifts. 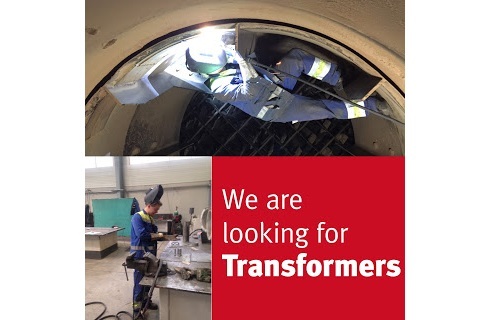 The role of a Shift Fitter is to rapidly respond to emergency breakdowns within the factory. The job is required to be done as quickly and as safely as possible so that the loss in production is minimised. During my six months I was placed of D-Shift with Mechanical Fitters Alan Brass, Liam Doyle and Robert Hawkins. For the first three months of my shift I worked with Liam on the Rawboard side of the factory, this is where the recycled or new material is made into manufactured board. During this period of time we responded to emergency breakdowns, which included changing the intermediate belt on the Conti line and then during this same shift, we worked with the Electrical Maintenance department on changing the motor that powered the mixers on the Conti line. The following three months I worked with Robert on the Upgrading lines, this is where the Rawboard is pressed with impregnated paper to produce the finished board. During these shifts we went to many breakdowns, including the rebuilding on the D-Line press when cracks were found in it. Another job we performed was the repair on A-Line’s moving carriage when it was crashed into the press. During my six months of shift work I learnt and experienced a lot within the factory and would like to thank D-shift for making it an enjoyable experience. 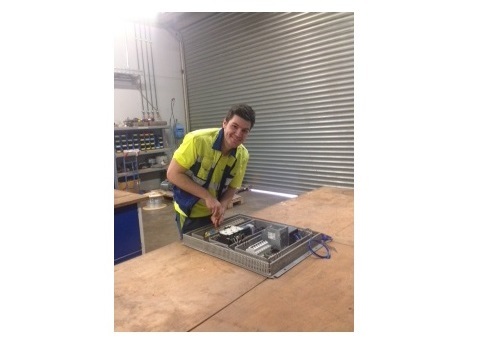 I have recently completed my apprenticeship and am now working as a qualified Mechanical Fitter and would like to thank the Mechanical Department for getting me to where I am. I hope you enjoyed my blog! Keep an eye out for our next one from another member of the team. We both recently attended the Exercise Executive Stretch course which was organised by the RFCA (Reserve Forces’ and Cadets’ Association) for Yorkshire and the Humber at Wathgill army base in Catterick. 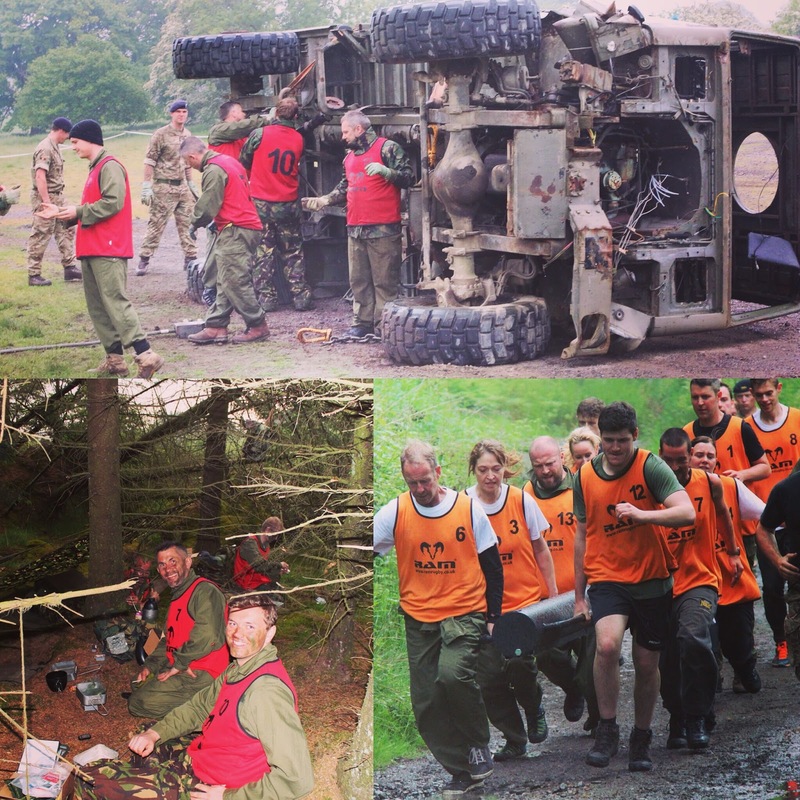 The course is designed to improve leadership and team work skills during the 3 days you spend with the armed forces. When we arrived on the Thursday, we were divided into teams of approximately 16 people from a range of companies, giving us the opportunity to work with people we did not know and who came from different industries and backgrounds. Following this we completed a small number of tasks before being given our ration boxes and told to set up our camp. This was more challenging than you would think as we were not given a tent to set up, we had a piece of fabric which we had to construct cover with; this was very different to any camping we had done before! The second day was the most exciting, in our teams we had to complete 8 very diverse tasks which developed a range of skills including; communication, navigation, problem solving and team building. Each task was completely different ranging from firing the latest assault rifle to completing an emergency response scenario. During the day we spent time with the Royal Artillery, Navy and Air Force as well as the Army and gained an insight into each of their roles and responsibilities. The final task of the day was a timed assault course which involved running 1.5 miles whilst taking it in turn to help carry the metal post weighing about 100lb, with every team competing against each other. The day was rounded off with a formal dinner in the Officers’ Mess where we were treated to a three course meal. On our final day there was a debriefing session and prize giving ceremony. We both really enjoyed the experience and it pushed us completely out of our comfort zone - we would recommend it to anyone. 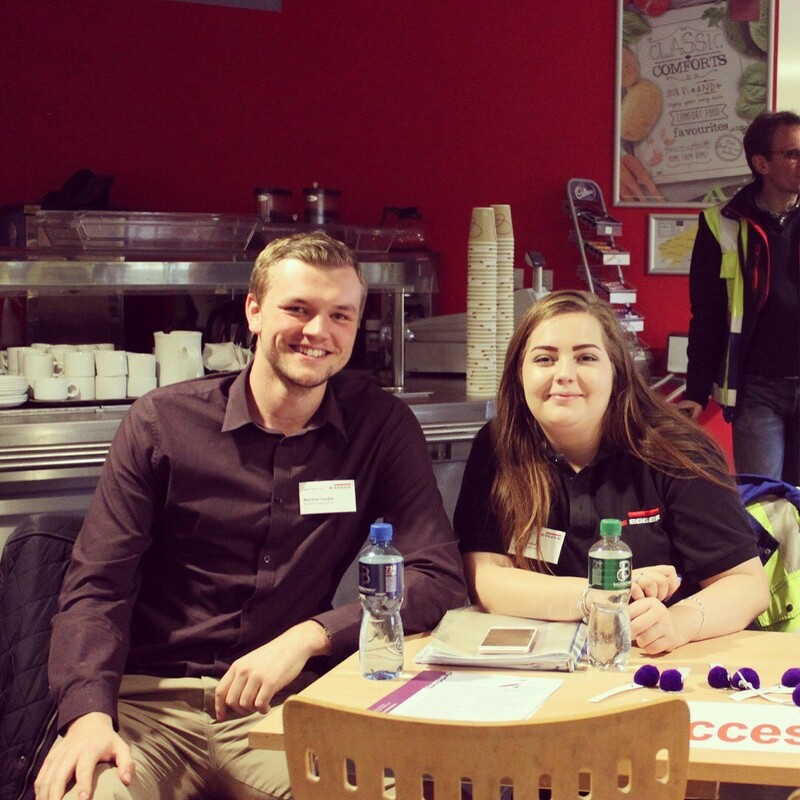 We were able to meet some great new people and develop key skills that we can both apply to our roles at EGGER. We hope you enjoyed our blog! Keep an eye out for our next one from another member of the team. The final part of our apprenticeship training is to spend 6 months working on the 4-shift pattern within the department, I have recently completed this part and am now back working on day shift. The 4-shift pattern includes 12 hour day and night shifts as well as over weekends. 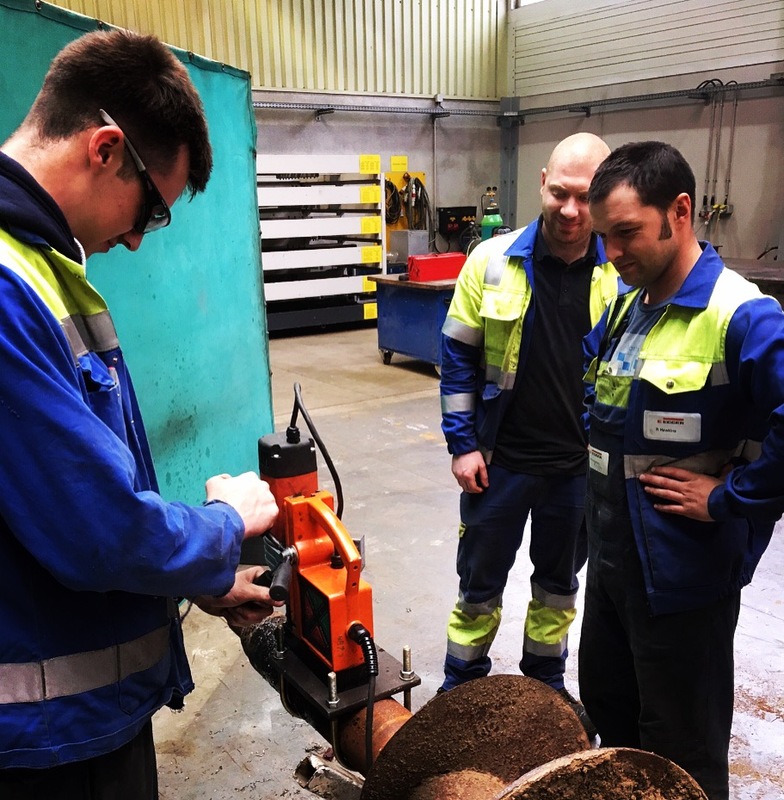 This part of our training allows you to learn a lot about what happens during breakdowns throughout the plant and work with a variety of different people. I found it really interesting and enjoyable as I learnt a lot from the breakdowns and training I received. The type of breakdowns I attended during each shift varied. Some were to fault find on different production lines throughout the factory, ensuring that the problem was found and fixed within a reasonable time scale to get the line back up and running as soon as possible. Whilst fault finding you would also look through the program of a PLC (Programmable Logic Controller) to help identify the issue. Other jobs included tasks which had been given out by the Supervisor at the start of the shift which we would work on if and when we were not called out for any issues throughout production. These included wiring of new motors, changing components in a panel or on the line during maintenance days and training on various types of drives. I really liked the shift pattern, I worked 2 shifts one week either days or nights and then the next week work 5 shifts either days or nights. Before I started my shift work I was worried about the night shift and I was not sure how I would manage them, but it was fine you soon get used to them. Overall, I found the experience really good and the shift electricians have helped me a lot with my training. Having the shift training at the end of the apprenticeship is really beneficial because I feel this opportunity has really built on the other knowledge I have developed. During our apprenticeship, in year three, we complete process training. This involves spending time in the four main departments within the factory and getting an understanding of how they work and what their contribution is to the final product. I have just finished my placement within the Lamination department. Whilst in each department we are asked to research a specific technical project and also a production project which are part of the department’s process. Whilst in Lamination I was asked to study the hydraulics function and sequence of the short cycle press itself. This included analysing the hydraulic function and sequence of the lifting and lowering cylinders, as well as the high pressure cylinders and the pre-fill system. To help my understanding I studied timing diagrams and hydraulic schematic drawings, which gave me an insight into the order of operations taking place with regards to the hydraulics, during one cycle of the press. I studied this in great detail by actually watching the function of the press cycle and witnessing the energising of each valve in sequence whilst following the hydraulic drawings and the timing diagrams. It also helped a lot discussing the process with various members of our maintenance staff, to gain their knowledge/experience and support my understanding and findings. 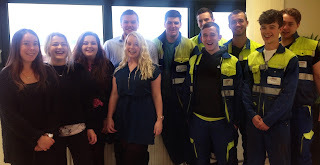 At the end of each placement we present our findings, in the form of two PowerPoint presentations, to the Managers of each section, alongside the Engineering Manager, the Mechanical and Electrical Engineers and our onsite Apprentice trainers. Therefore with all the knowledge that I had gained over the first three weeks, from previously having little understanding or experience of the department I was able to successfully compile my two 20 minute presentations which made reference to valves and solenoids within the system. These presentations along with the addition of some small animations, allowed for me to thoroughly describe the function of the hydraulics within the press to the managers, and therefore confirm the knowledge that I had gained during that section of my process training. I hope you have enjoyed reading my blog, next week we will focus on the work that our 4th year apprentices have been doing whilst on shift training. Throughout our Apprenticeship we work on a number of projects to help us develop our skills and also apply the things we have learnt at college. At the moment, I am working on a project focussed on overhauling a machine which was bought by EGGER about 3 years ago. The project has been assigned a £10,000 budget which we have to consider throughout the job and I am working closely with the Mechanic Fitter to ensure our project is running to schedule, alongside our team managers and a project engineer to help us complete the project. Currently we are working on building a stand for the machine alongside a platform for the operator to stand on. My part of this is to draw and create a new panel alongside creating a new simatic 7 programme. This programme allows the machine to carry out specific functions when a certain button is pressed, for example if the start button is pressed the input for this button will start it’s cycle through the ladder program. I was able to use the experience of a Control and Instrumentation Engineer to help build the program and also use my own experience of programming when at college on day release. My manager has also asked me to create the drawings for the electrical panel, as well as the cable identifications for each cable that is wired into the panel. This is all great experience for me moving forward in my apprenticeship and the project will specifically support the completion of my college qualification. Thank you for reading my blog, I hope you found it interesting! We'll give you a little insight into the world of EGGER and understand what it is really like to be an EGGER apprentice. Welcome to our Apprenticeship Blog! Meet Abby, Geri and Matty, 3 more of our Social Media Team!